So – here are some more activities for this week. Don’t forget to let me know what you are doing! Have YOU met the Queen – or another member of the Royal Family. Or someone else who’s famous – have you met David Walliams? How about creating a coat of arms for Ben and his Granny – perhaps you could do something to do with cabbages and plumbing things? Do you like writing poetry? 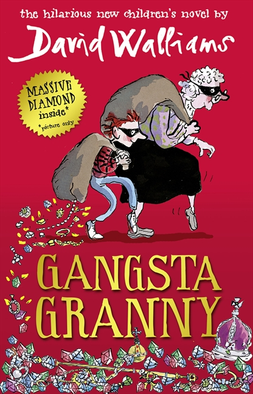 Then why not write an acrostic poem using the letters of GANGSTA GRANNY – that’s a real challenge! Let me know what you think. Have another great week – and look forward to some more activities next week.